Over the last 24 hours we’ve caught sight of a couple of Canberrans who are making waves in Europe and China. In our Centenary year, where we look inwards to celebrate the best of our city, let’s have a look at a couple of people who are spreading the word far and wide. 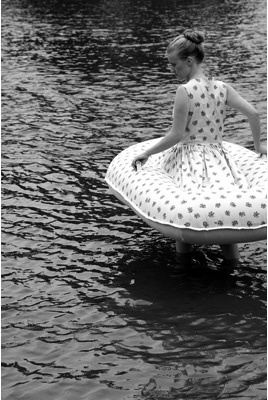 While cruising around the interwebs we saw that ANU School of Art PhD lecturer and tutor Jacqueline Bradley’s rather spiffy Inflatable Dress had made an appearance on gadget/style blog LikeCool.com. Jacqueline’s work takes conventional, domestic objects and clothing and places them in an unusual context, or expands on their application. Marcel Duchamp would be impressed, but never seemed to display the technical skills of Ms Bradley. Jacqueline’s work is currently touring through Europe in Futuro Textiles, Lille 3000 which is part of the Lille Festival. 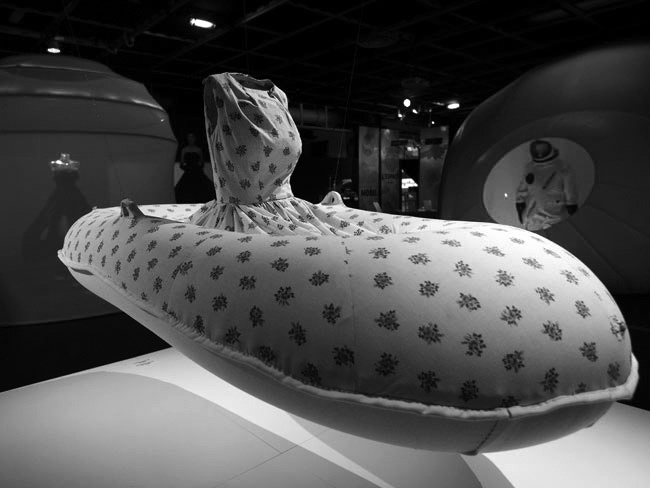 The Inflatable Dress will be seen at a number of galleries across the continent through to 2014. On a more commercial, rather than purely artistic level, another Canberran is doing great things to promote local talent through wine exports to China. For the last five years, Graeme Shaw – of Shaw Vineyard Estate in Murrumbateman – has been exporting wine to the burgeoning market to Australia’s north. For a lot of producers in Australia, that would be enough, however the interesting news is that Graeme has opened a cellar door in the Chinese city of Haikou. Yep – should you happen to find yourself at a loose end in the holiday destination of Hainan Island, you can wander down to Shaws and grab yourself a bottle of Winemaker’s Selection Cabernet Sauvignon 2009. Such has the reception been to Shaw Vineyards Estate and their first bottle shop that plans are under way to develop two more outlets at Shi Jia Zhuang in Hebei province and Changzhi in Shanxi province. It’s impressive stuff. We’re always keen to here of the goings on of Canberrans abroad, so if there is someone we should know about, send us an email or put it down in the comments.